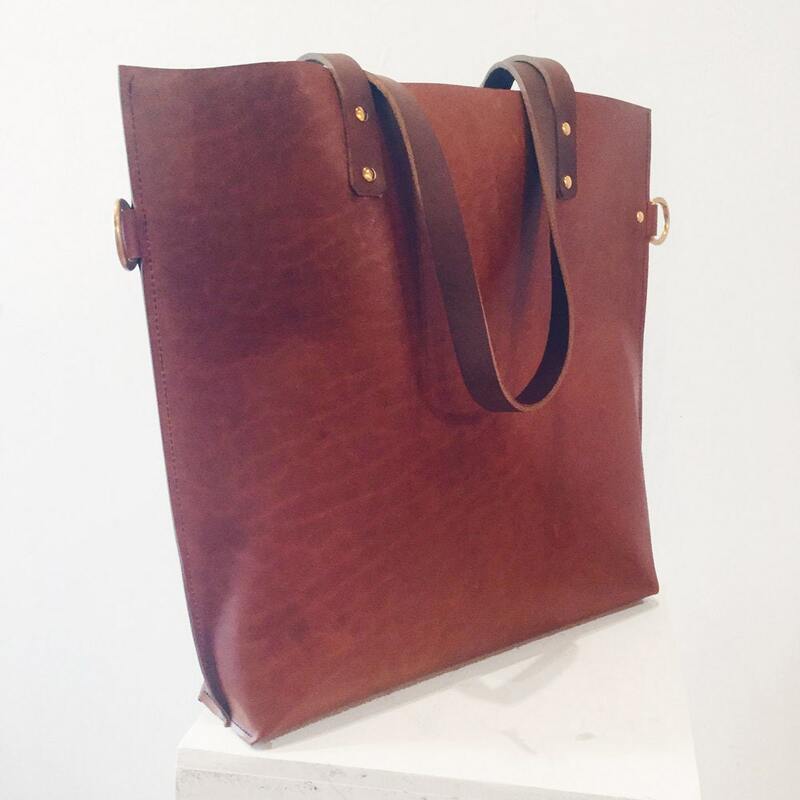 This all leather tote is made from buttery 3 oz Horween leather in a stunning red-brown Chicago Tan. Horween leather is tanned in the USA. I used brass hardware, and have attached a small pocket inside for valuables. 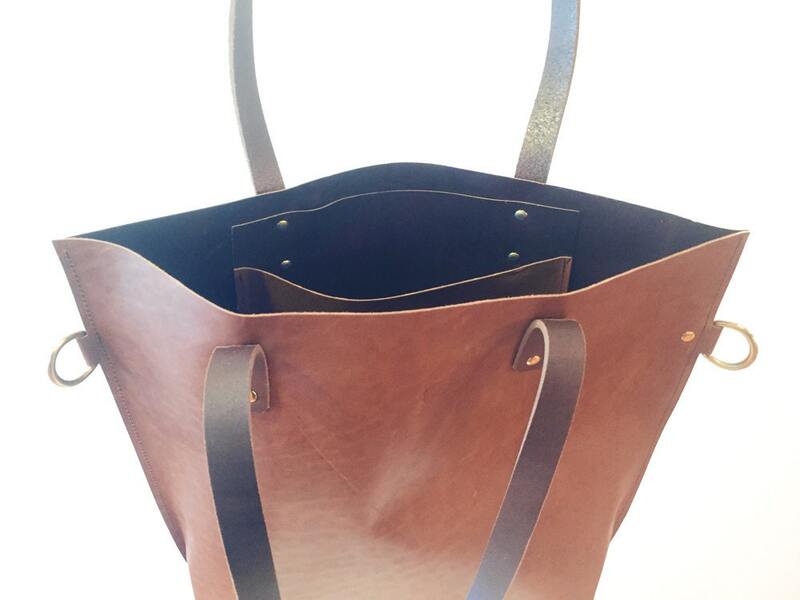 D rings on each side allow for an optional cross-body strap to be clipped on. I can make this for you for an additional cost, just message me! 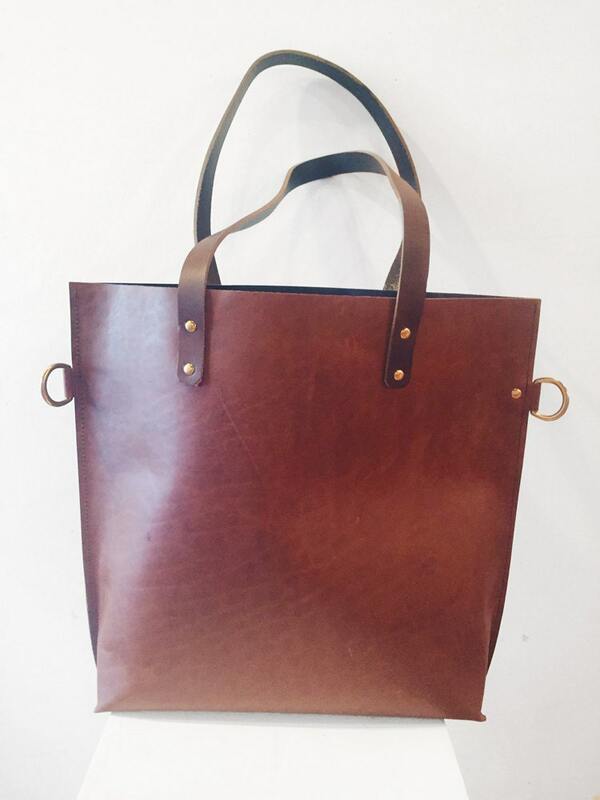 With proper oiling, this classic bag will last a lifetime. Its design, featuring simple, clean lines will never go out of style. Bag measures 18" across the top. It is 16" tall, the base is 15"x3" Straps measure 32" total, clearance from bag to shoulder is approx. 13."